Knowing when the quake will arrive keeps getting easier in Japan. Official earthquake warnings that pop up in a window on your computer screen is the latest alert method. Already earthquake warnings are broadcast on TV. Cable TV providers and telecoms offer official earthquake warning emails to cellphones and computers. A cable TV company sells an earthquake warning receiver. A digital cordless phone knows a tremor is on the way. 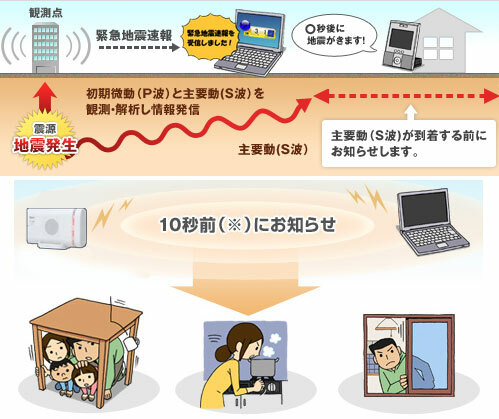 Click here to read more about the PC alert dialog and a quake warning receiver from NTT.